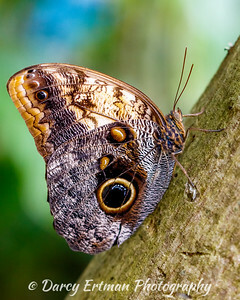 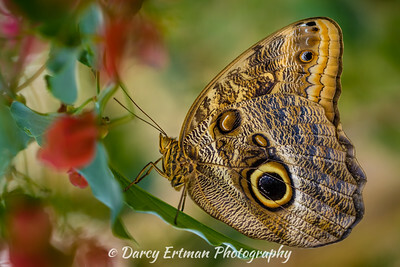 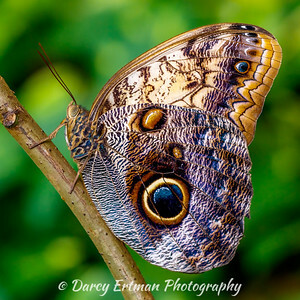 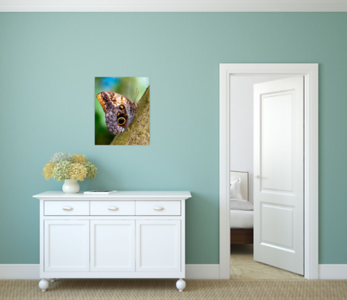 An owl butterfly is a butterfly, in the genus Caligo, known for their huge eyespots, which resemble owls' eyes. 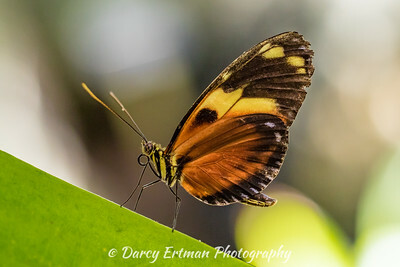 They are found in the rainforests and secondary forests of Mexico, Central, and South America. 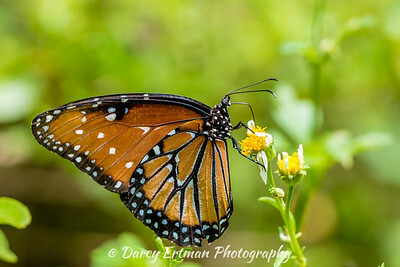 Milkweed butterflies are a subfamily, Danainae, in the family Nymphalidae, or brush-footed butterflies. 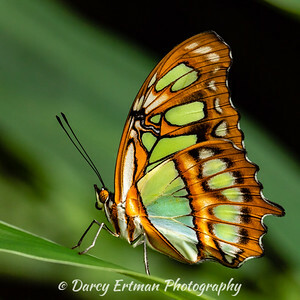 The malachite has large wings that are black and brilliant green or yellow-green on the upperside and light brown and olive green on the underside. 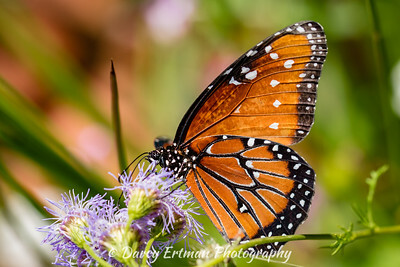 It is named for the mineral malachite. 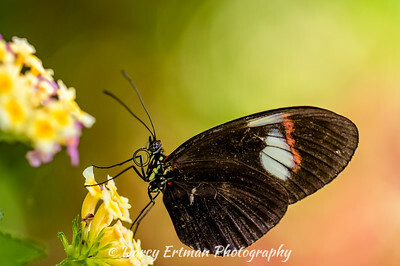 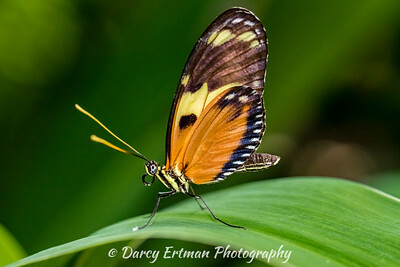 Longwings (also known as Heliconians) are tropical butterflies with long forewings and bright colors. 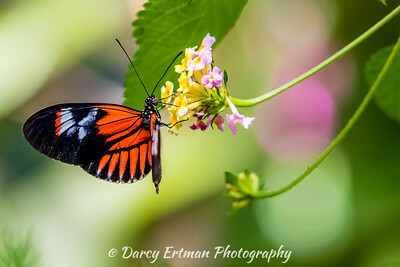 Heliconius melpomene is a widespread neotropical species well known for its geographic diversity in colour pattern. 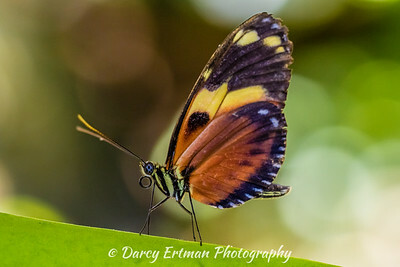 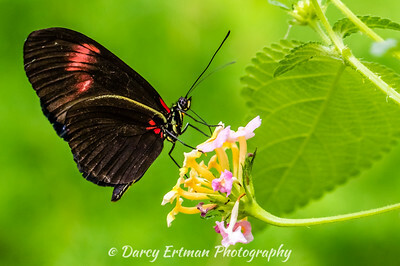 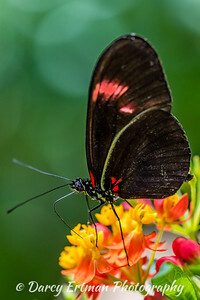 The red postman (Heliconius erato) is one of about 40 Neotropical species of butterfly belonging to the genus Heliconius. 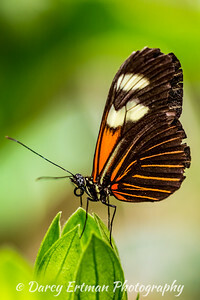 (Heliconius melpomene) is one of the heliconiine butterflies found from Mexico to northern South America. 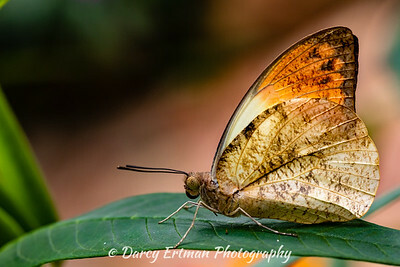 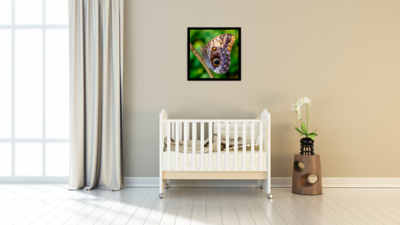 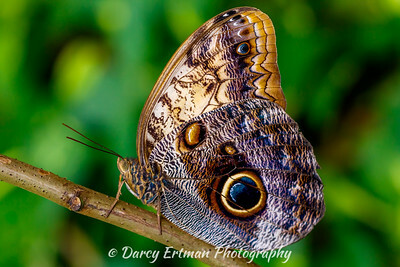 the rusty-tipped page or brown siproeta,is a New World butterfly that lives all year in tropical habitats. 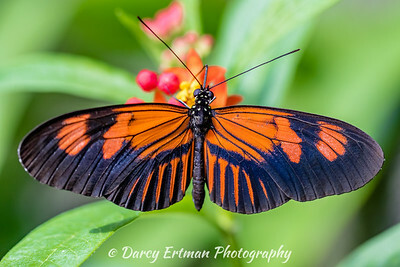 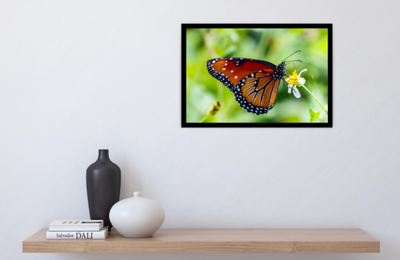 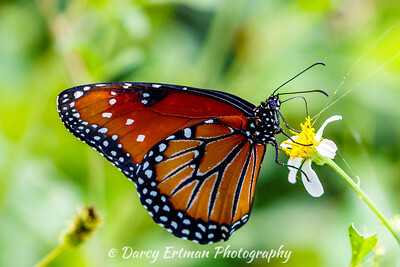 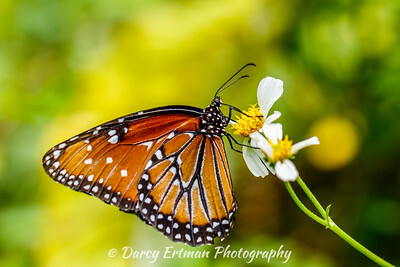 The queen butterfly (Danaus gilippus) is a North and South American butterfly in the family Nymphalidae. 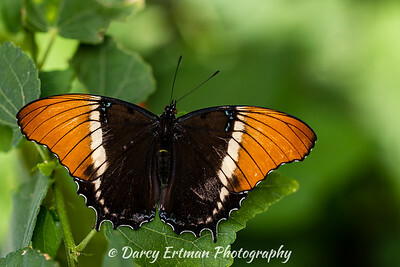 It is orange or brown with black wing borders and small white forewing spots on its dorsal wing surface, and reddish ventral wing surface fairly similar to the dorsal surface. 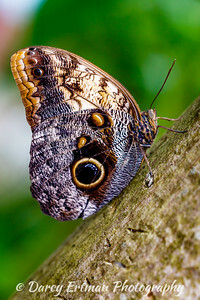 The ventral hindwings have black veins and small white spots in a black border.